The Digitally Engaged Food Shopper study has been expanded by Food Marketing Institute and Nielsen to address the constant changes in digital platforms. 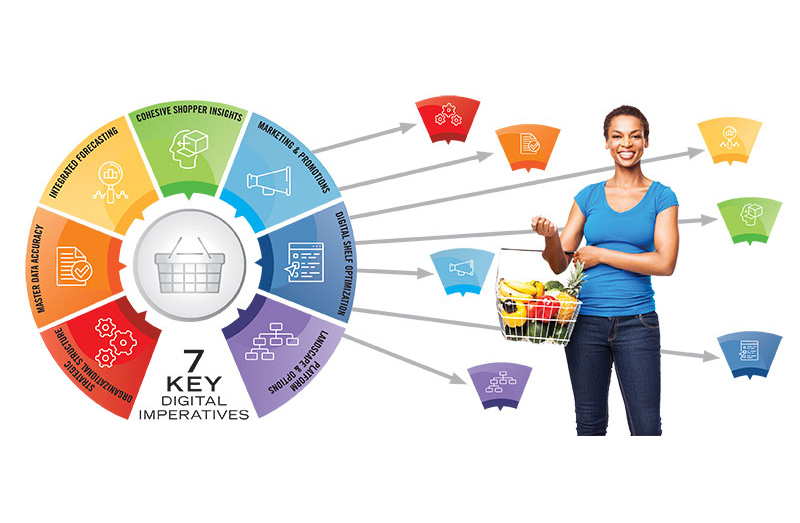 The study delivers an omnichannel roadmap for the food marketing industry. Through a broadened roster of advisory partners, this year’s output will bring to life a set of actionable tools and resources to enable FMI members to work toward achieving business profitably in today’s challenging omnichannel landscape. Building on FMI and Nielsen’s strategic alliance and multi-year initiative, the effort combines analysis with actionable items for companies to implement immediately. Over the past three years, Nielsen and FMI’s Digitally Engaged Food Shopper effort has worked to uncover insights on current and future digital shopping behaviors within the food retail marketplace, bringing increased visibility into this developing landscape. Through this study, in 2017 the companies predicted that consumer spend on online grocery shopping could reach $100 billion (inclusive of food + beverage and CPG products, only); and in 2018, the study predicted that in as few as five-seven years, 70 percent of consumers will be doing at least some grocery shopping online. “These companies, working closely together and with us, represent a natural evolution of the Nielsen and FMI Digitally Engaged Food Shopper study and bring insights and a collective resource to help the food industry move forward effectively and efficiently on implementing omnichannel success,” Baum said.